The Legends Relay is an event that is held each year with the goal of raising money for the NZ Swimming Alumni which is reinvested back into the up and coming swimmers through grants and scholarships. We host this event with the help of past international representatives who are invited back to the pool to compete in relay teams against each other. Last year we raised over $18,000 which we need your help to beat this year. 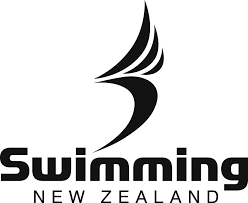 This event will be held in the final session of the AON NZ Open Championships at the National Aquatic Center on the 21st June 2019 at 8:00 pm. We would like to thank our incredible sponsors who have generously contributed towards sponsoring a Legends Relay Team - Panasonic, Galloway International, Hot Water Heat Pumps, Northern Arena, Links Modular Solutions and Washing Machines of Wellington (Powered by Dougal's Swimming). All support is greatly appreciated so if you would like to donate, please click here for more information. Would you like to come and watch the Legends Relay? Ticket sales will be available closer to the time and we will update here. If you are unable to make the event, be sure to check out the live streaming on the day. Link will be available here soon.